Ingredients: 100% organic instant oats. Free from preservatives. Storage: In cool shades, away from sunlight. Once opened, use within 20 daysof opening if stored at room temperature, and within 60 days if refrigerated. When purchasing oats, you should differentiate between types of oats to best suit your intention. ♦ Steel Cut: Raw oat kernels cut using steel blades and retain all the nutrition within the oats. To prepare steel cut oats, you would need from 15 to 60 minutes (not counting preparation time such as soaking raw oats in water). ♦ Rolled Oats: To get rolled oats, whole oats are toasted, hulled, steamed and then flattened with giant rollers. Muesli and granola are usually made with rolled oats. Rolled oats take about 15-20 minutes to cook. ♦ Quick Cooking Oats are similar to rolled oats, but the oat kernels have been cut before being steamed and flattened to help then cook quicker. Quick cooking oats are convenient for making baked goods such as quick breads and muffins. 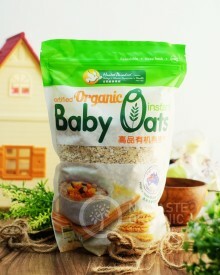 ♦ Instant Oats: This is the product you are purchasing from Health Paradise. Instant oats have been cut, pre-cooked, dried, steamed and then flattened to help them cook very quickly (you need on average from 1 to 5 minutes to cook instant oats).